Who's your third paborito character? Who's your paborito out of the trio? Do you like the light novels? Does anyone remember who sinabi this line? Shizuo Heiwajima (平和島 静雄, Heiwajima Shizuo) is renowned as the strongest man in Ikebukuro. He currently works as Tom Tanaka's bodyguard, and he is shown to be familiar with some of the major characters in the series, such as Izaya Orihara and Celty Sturluson. He was a member of the Dollars group. Shizuo is voiced sa pamamagitan ng Daisuke Ono in the original Japanese anime, and sa pamamagitan ng Crispin Freeman in the English dub of Durarara!!. 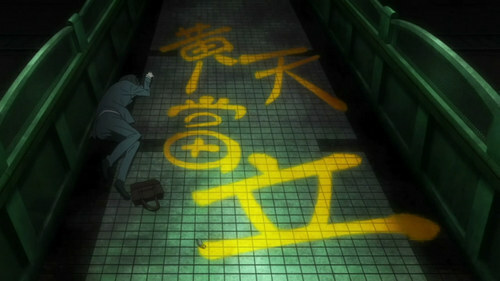 Izaya Orihara (折原 臨也, Orihara Izaya ) is a powerful and skilled underground informant. He usually gives information for his own enjoyment, and claims to pag-ibig the entire human race, excluding Shizuo Heiwajima. Izaya likes to start fights with him, as seen in episode 25, and then let Shizuo chase him around. He is voiced sa pamamagitan ng Hiroshi Kamiya (Japanese) and Johnny Yong Bosch (English).